Vodka, like other forms of alcohol, can be dangerous if not consumed in moderation. Vodka might be as much as 40 to 50 percent pure alcohol, depending on type and region. Consequently, you should limit your vodka intake to about 1.5 oz. per day if you are female and about 3 oz. per day if you are male, which is in line with general health recommendations, according to the University of Maryland Medical Center, or UMMC. Vodka is a distilled spirit that can be made from any fermentable materials, though most vodkas rely on grains. Drinking an excessive amount of vodka leads to intoxication, which inhibits your judgment and decreases your fine-motor control and coordination. If you also are on medications or painkillers that interact with alcohol, you might experience severe drunkenness even at low levels of vodka consumption. At extreme levels and rates of consumption, alcohol poisoning occurs, which can kill you. Drinking vodka excessively might increase your risk of developing alcoholism, especially if alcoholism runs in your family. Though no one knows the exact mechanisms that underlie alcoholism, people with relatives who have alcohol problems might be more likely to develop alcoholism themselves, according to UMMC. The most effective way to avoid developing an alcohol problem is to avoid drinking alcoholic beverages entirely. Some people claim to achieve a quick buzz from pouring vodka directly onto their eyeballs. The practice is called eyeballing. 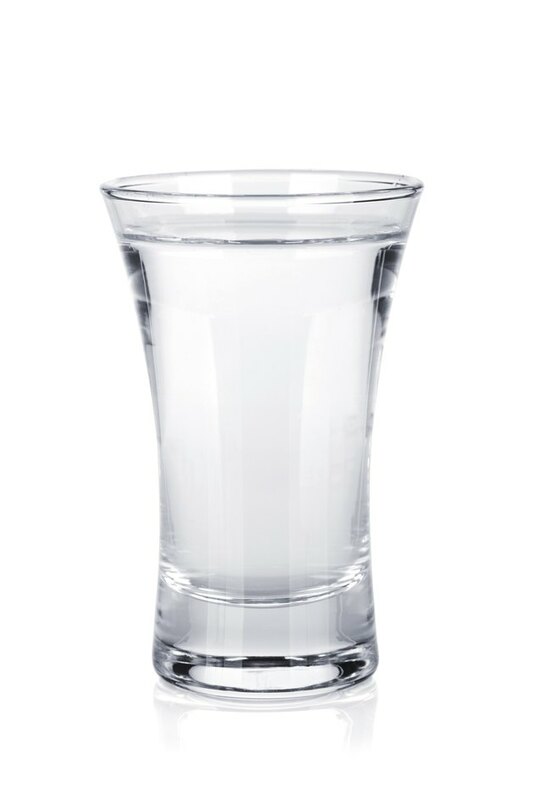 The effectiveness of this method is disputed, but the idea is that "eyeballed" vodka produces a rapid high because it enters the bloodstream when it pools behind the eyes, as opposed to first navigating the digestive system. Although eyeballing arguably isn't widespread, it garnered enough attention to warrant a press release from the American Academy of Ophthalmology in May 2010. The organization decried the practice, saying it could lead to permanent eye damage. Depending on the amount of vodka "eyeballed," users might experience pain or infection, and also might kill endothelial cells deep in the eye's cornea, which could lead to permanent vision damage. Also, the organization suggests the amount of alcohol taken in during eyeballing is insufficient to support the "rapid high" claims. Does Rum Have More Calories Than Vodka?